Rose Bloom Out at Bellingrath Gardens. 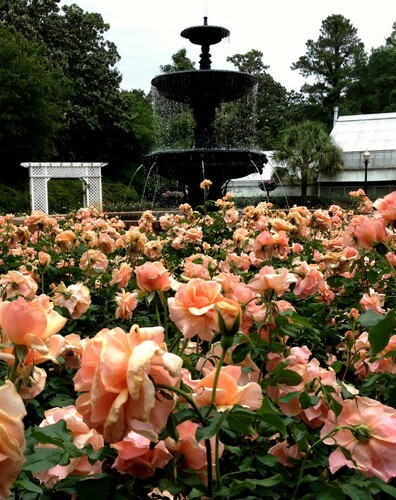 The Bellingrath Rose Garden will have its Bloom Out in April, and the blooms continue well into the fall. Featuring a magnificent wrought-iron fountain at its center, the Rose Garden is a popular spot for photos.